Here she is, ladies and gentlemen, in all her 46lb glory! 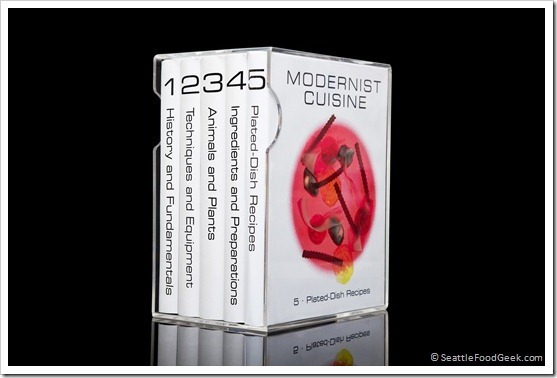 This is the first published image of the Modernist Cuisine books, in their acrylic case. This shot doesn’t show the accompanying kitchen manual, but it is enough to make food geeks everywhere salivate. That March 14th date can’t come soon enough! I had this grand idea for a “gingerbread” house this year: a scale replica of the Seattle Central Library building – one of the few modern architectural landmarks of our city, and a magnificently example of complicated geometry. 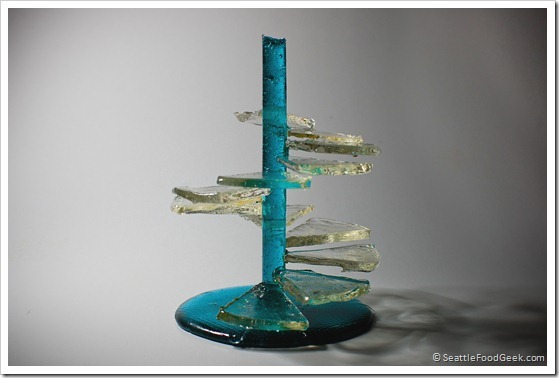 I planned on making the whole thing out of sugar, since the library building has an all-glass exterior. And, to top things off, I was going to laser-cut all of the pieces I needed, since the project clearly wasn’t geeky enough to begin with.